Does your HVAC get a passing grade? Call us! Rate and review Cool/Hot Guys AC in Scottsdale, AZ, United States! 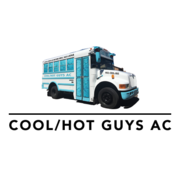 Share your experiences at Cool/Hot Guys AC with your friends or discover more Heating and Air Conditioning in Scottsdale, AZ, United States.